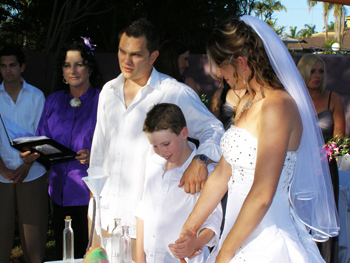 Emily & Freddy giving Phoenix his gift of a crystal & leather bracelet in their Family Unity Ceremony. 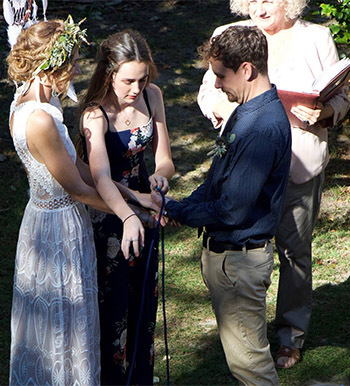 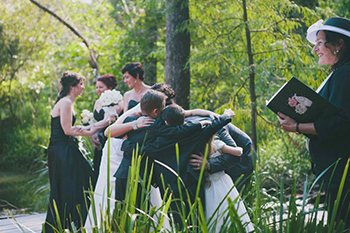 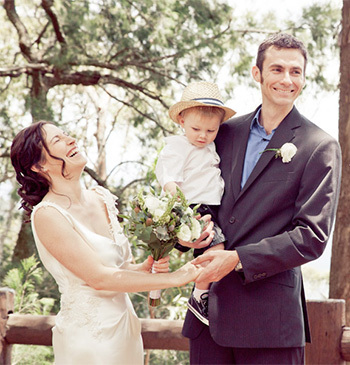 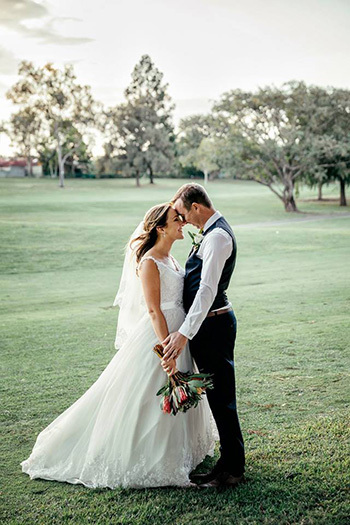 Olivia & Cameron's had a Handfasting at their Wedding at Williamina Park East Brisbane. 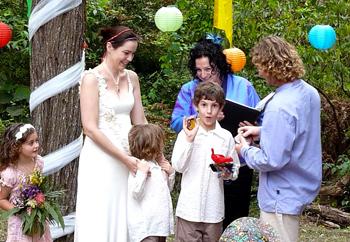 Their two daughters passed the cords to them as they made their handfasting vows. 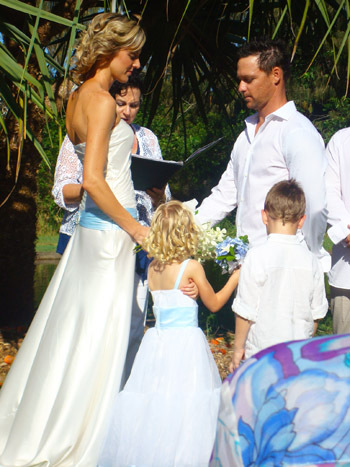 Both of Cameron's girls received bracelets as a gift from Olivia & Cameron as a symbol of the unity of their new family. 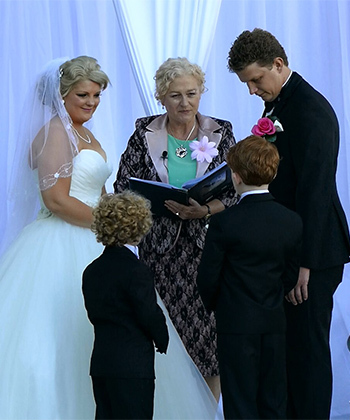 Dear Marilyn, Thank you so much for making our special day everything we ever wanted and more. 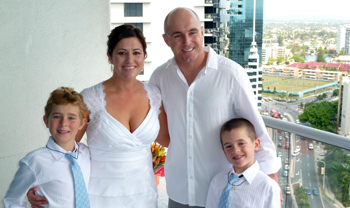 After 14 years together and two children later, we planned a holiday to the Gold Coast and decided that getting married was a good idea. 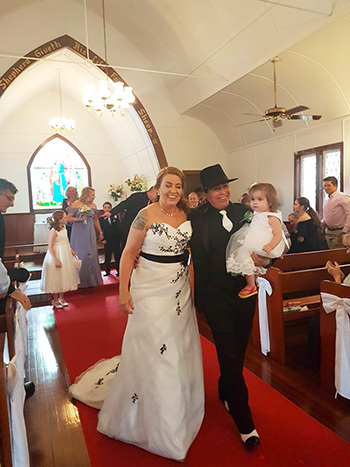 We decided to do it our way and elope – this way it would be a care free event, without the worry of seating arrangements, who to invite, menu’s etc etc. 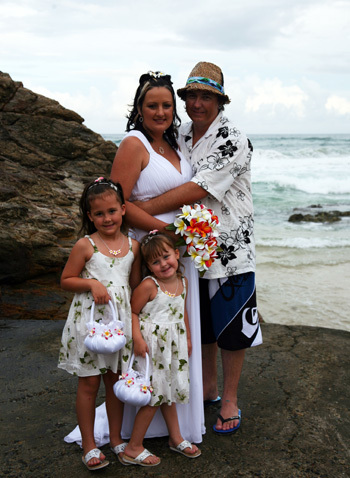 Marilyn made our wedding day exactly what we were after, care free, fun, memorable and relaxed. 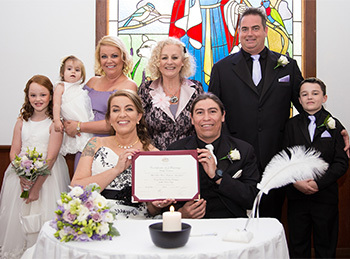 After months of emailing and numerous phone calls back and forth with Marilyn we knew she would make our day absolutely perfect and upon meeting her on the morning of the ceremony, finally with face to face contact, we were certain this would be everything we were dreaming of and that Marilyn was the perfect person to conduct our ceremony. 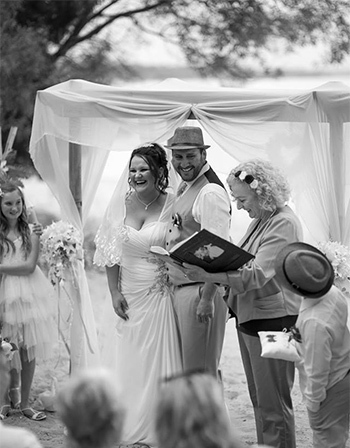 Marilyn, you possess a beautiful nature and treat everyone and every occasion with the utmost respect, professionalism and enthusiasm and the pride and care you take in your work, both prior to, during and after the ceremony, is to be admired, honoured and respected. 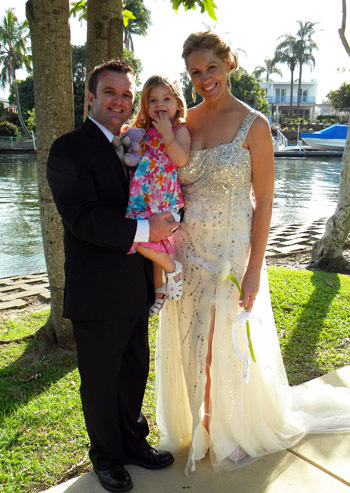 Thank you so very much - Daniel & Tanya Luke. 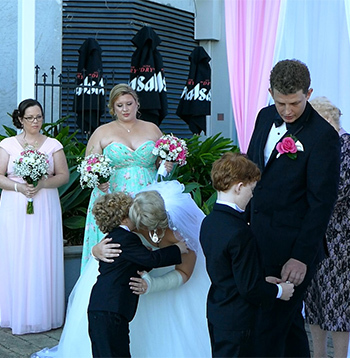 Richard & Candice have a beautiful blended family and celebrated their marriage with a Family Ceremony and finished it with an awesome family hug to share the love. 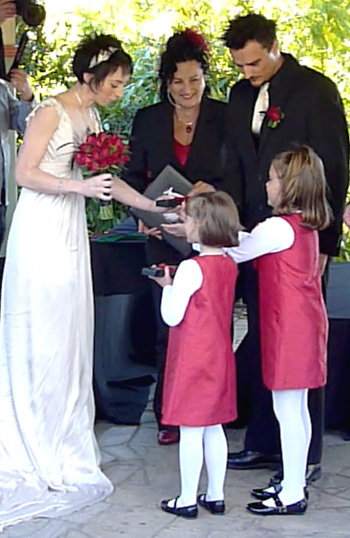 When they presented the children with their gifts it was a touching and emotional moment. 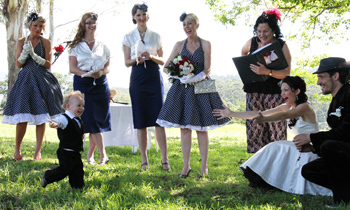 Marry Me Marilyn, the best wedding celebrant & friend ever!!!!!! 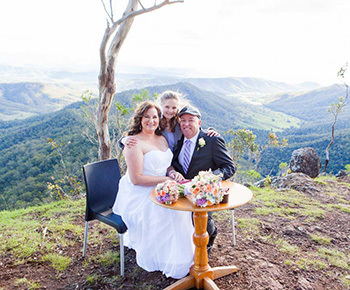 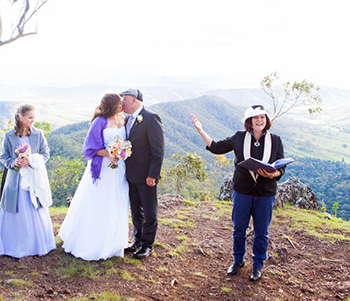 We chose to elope to the Gold Coast from Tasmania and nearly decided against it due to all the hassles of organising the whole event that was until I made contact with Marilyn Verschuure. 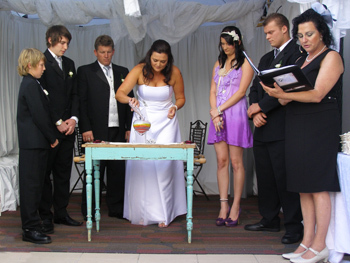 Marilyn made everything so incredibly easy for us and I’m happy to say it was one of the best days of our lives, really wish we could do it all again :) Marilyn thoroughly explained the whole process and worked with us in synergy to achieve what we wanted and was happy for us to change things to reflect our personalities and beliefs. 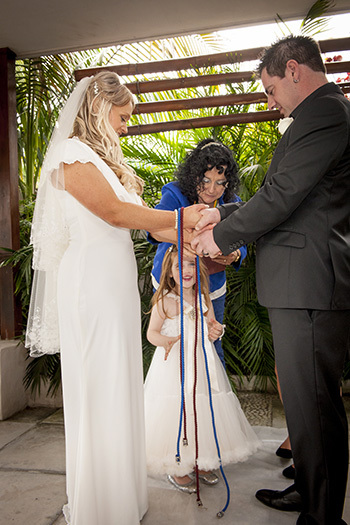 We ended up choosing a hand fasting ceremony which was amazingly personal and enabled our children to get involved as well, it went so beautifully. 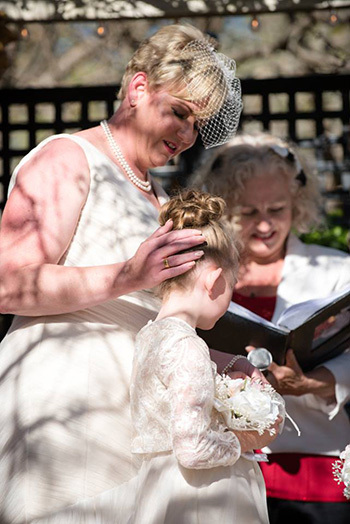 Marilyn helped us organise and explained all the legalities without fuss (we had a couple of things that needed extra attention) all sorted with Marilyn’s help. 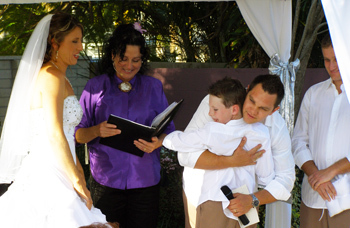 We would highly recommend Marilyn Verschuure to anyone who is looking to make their big day that extra bit special. 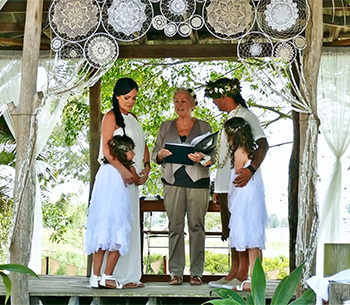 We were honoured to have you as our celebrant Marilyn :) Thank you for enabling me to marry my soul mate and best friend, I am forever grateful! 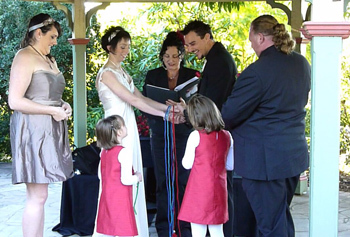 Jacinta x We were really happy with the handfasting cords you made for us thank you, we will treasure them forever xxP.S. 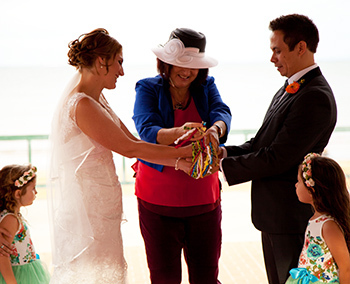 See you in a few years for our renewal of vows :) Many thanks to John Bortolin Photography for the fantastic photos. 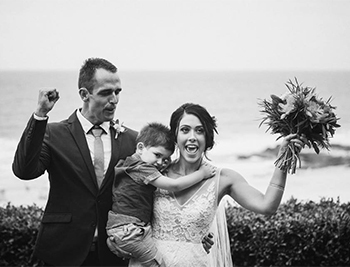 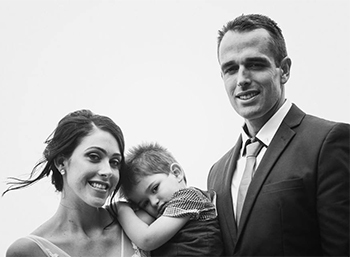 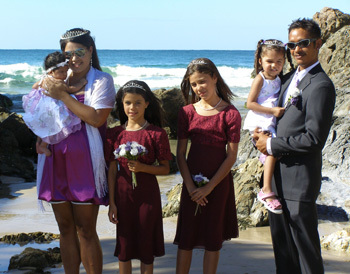 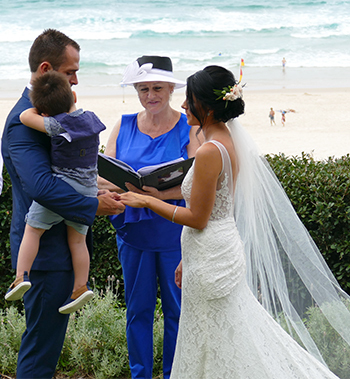 Jade & Vincent chose a Sand Ceremony to celebrate their marriage and their family with baby Charlie at The Colonial Robina on the Central Gold Coast. 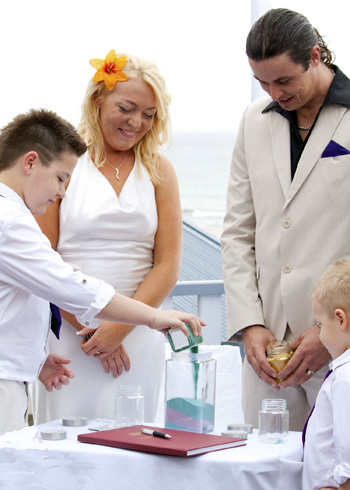 Their mother held Charlie to help him pour the sand. 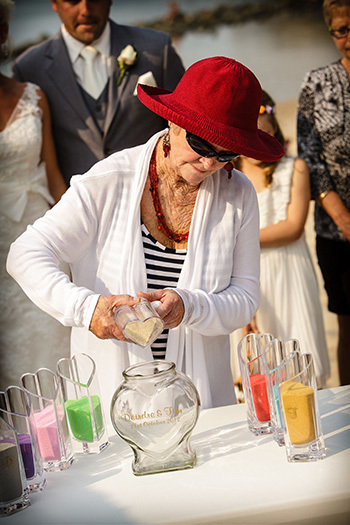 Melinda David & Riley pouring sand into the central vase from their separate bottles of coloured sand in their Sand Ceremony at their Mermaid Waters home on the Gold Coast a perfect day in Paradise. 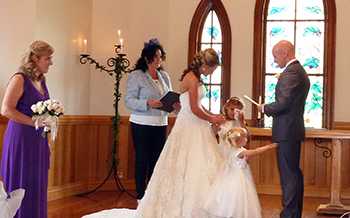 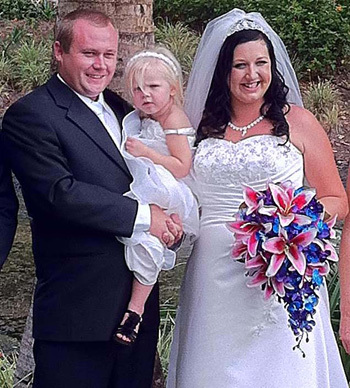 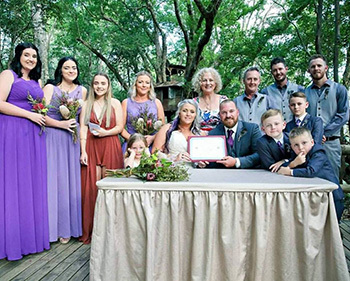 Lisa & Eamonn had a Family Unity Ceremony to include their two beautiful daughters in the Wedding Ceremony with Marry Me Marilyn At the Tamborine Gardens Chapel on Mt Tamborine. 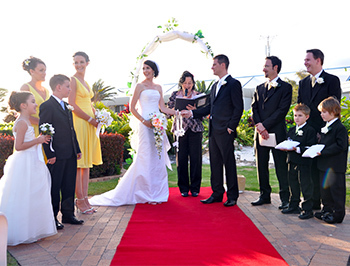 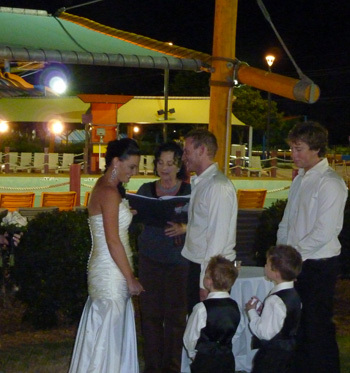 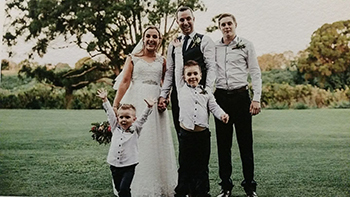 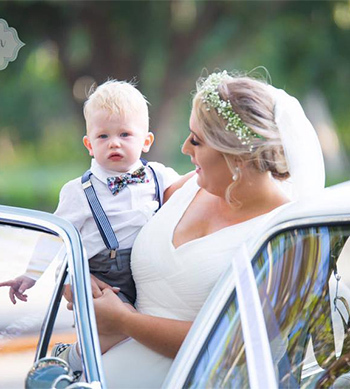 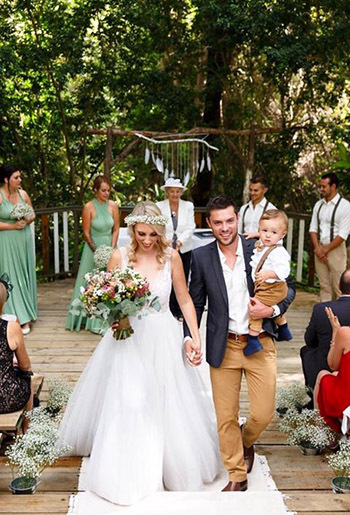 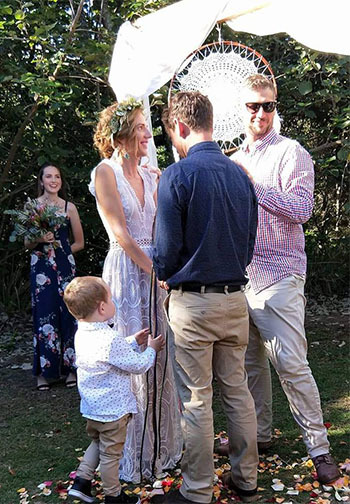 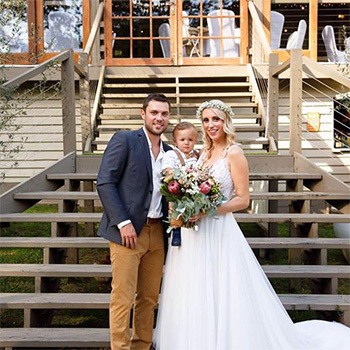 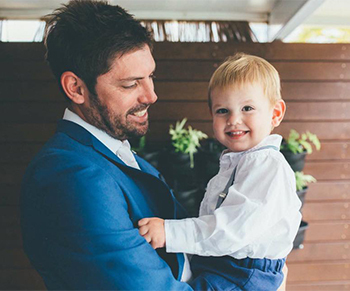 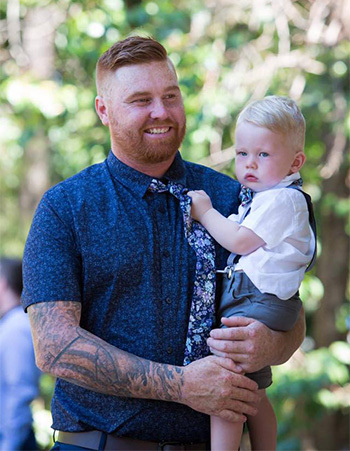 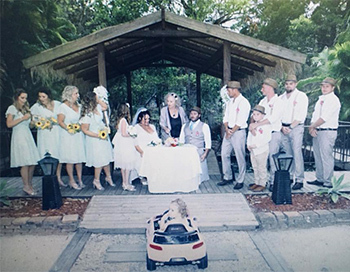 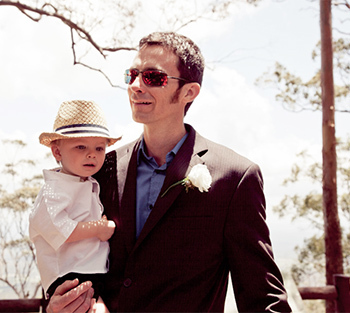 Kate & Ben had a Family Unity Ceremony for their sons as part of their Wedding Ceremony at WhiteWater World by the wave pool in Dreamworld Gold Coast. 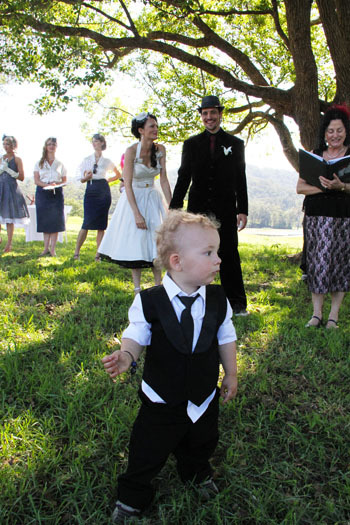 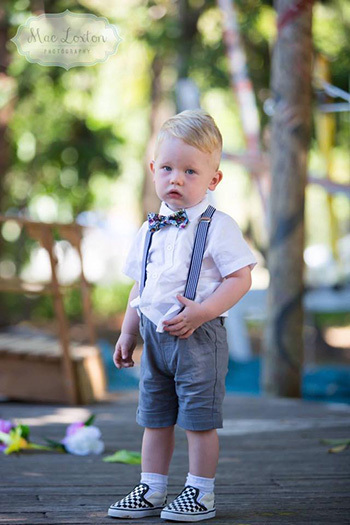 There are so many wonderful ways to honour and express your love and commitment by incorporating your children into your ceremony. 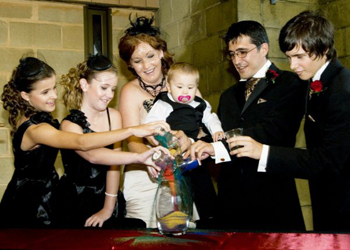 It is just as important for families with children together as for those blending a new family. 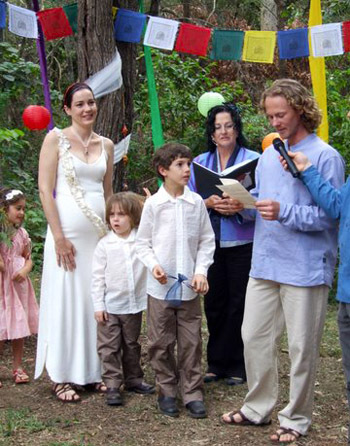 These ceremonies make the children feel a special and an integral part of the union. 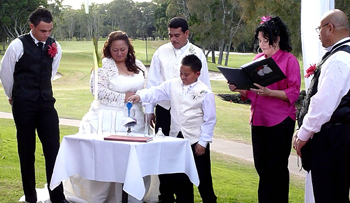 The Wedding or Commitment becomes not only the joining together of two people but the union of the family. 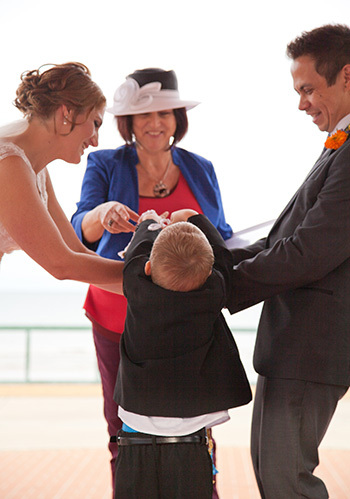 Marilyn, as you know our little man was diagnosed with a kidney disease only weeks prior to our wedding. 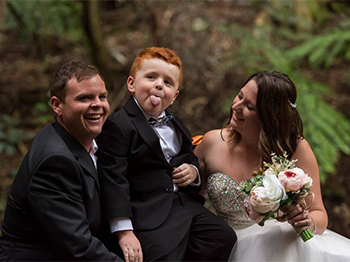 My focus was moved from planning a wedding to getting our little man well. 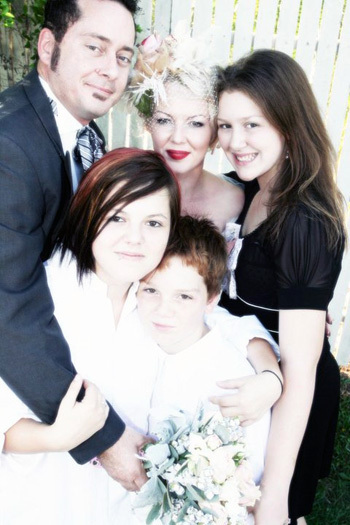 Thank you for giving me a sense of peace in an otherwise stressful time. 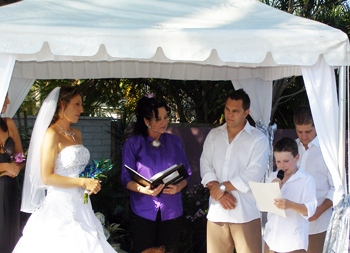 I remember scouring the websites wondering how I was going to select a celebrant for our wedding. 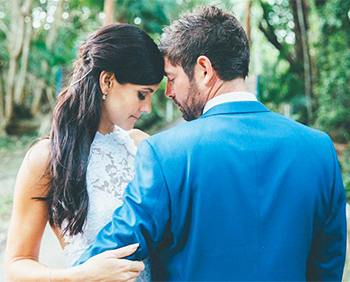 I came across your picture and I was instantly drawn to you, I didn't even get Jeff's opinion, I was that confident in my choice. 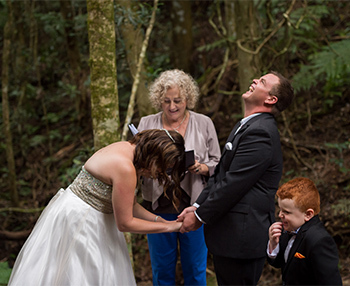 I knew our ceremony would be beautiful and unique under your care. 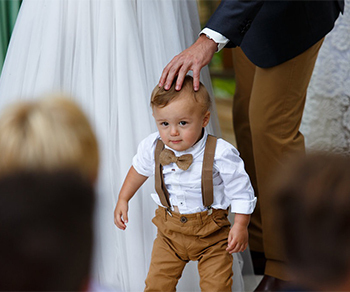 From the first time I spoke to you, you put me at ease.You understand what an important and unique role you have in a lifetime of precious memories and do it so beautifully. 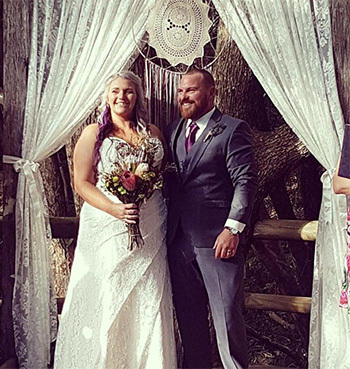 Thank you for helping make our day unique and special to us (not a cookie cutter ceremony) it was above and beyond our expectations, every little detail was perfect. 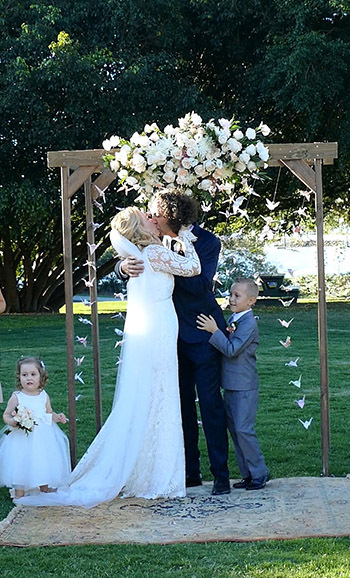 Our family and friends commented on how beautiful our ceremony was, especially the special touch of the family ceremony with our children Lilliana and Maddox. 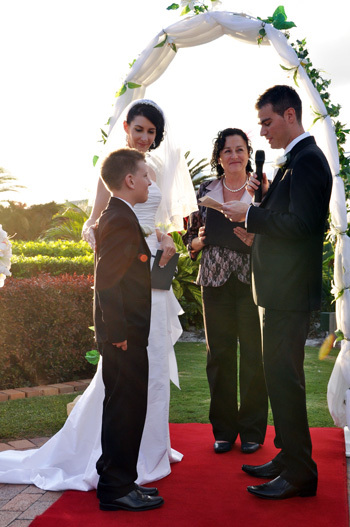 To say you have a passion for what you do is an understatement, it is obvious you have found your calling. 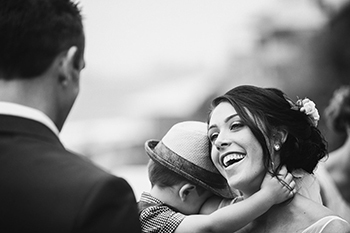 You are a special lady with a beautiful soul. 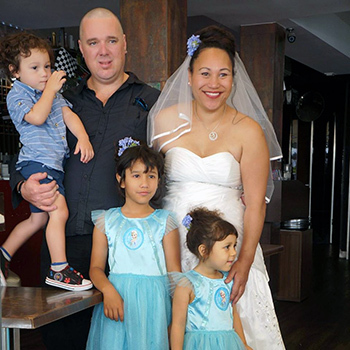 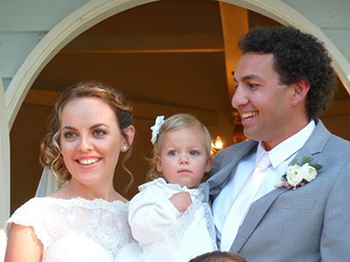 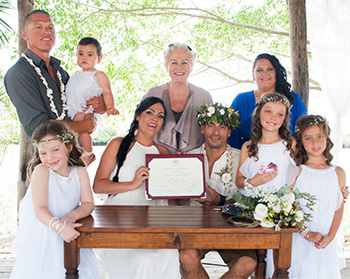 I look forward to using you again in 10 years for the re affirmation of our vows maybe in Fiji this time (nudge nudge) All our love the Pacey family. 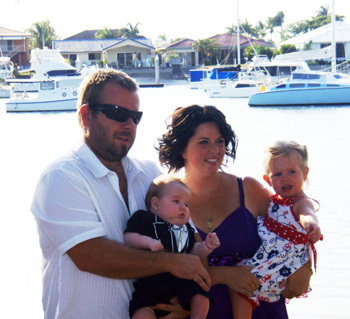 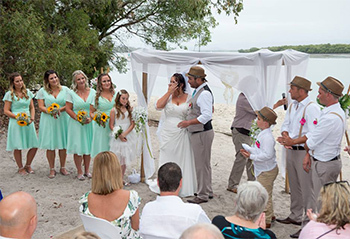 Mary & Brendan had a Family Unity Ceremony to unite their family at their home on Macleay Island in the Brisbane Bay Islands. 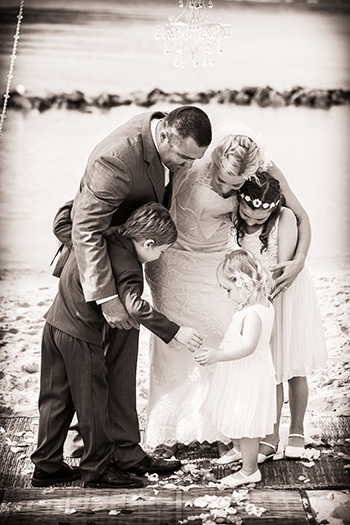 "Thank you again for everything that you have done for us. 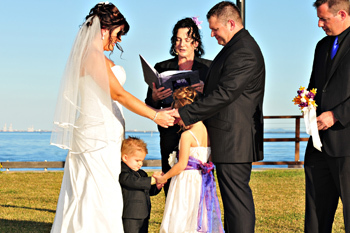 I think about our wedding every day, how complete it was in every sense. 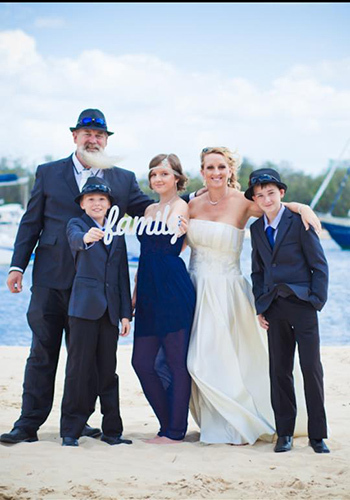 It couldn't have been the same without you." 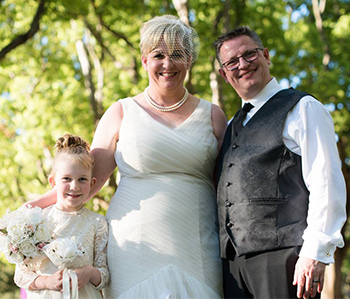 Much love and light from Mary & Brendan Veitch. 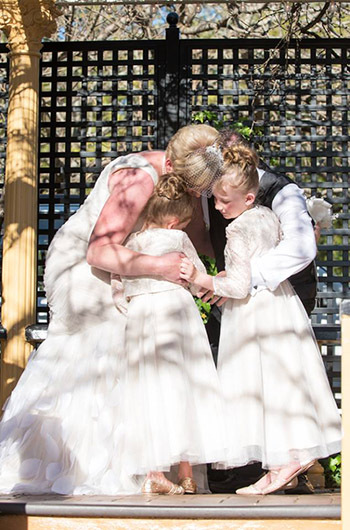 ps - we might need you for a naming day ceremony very soon! 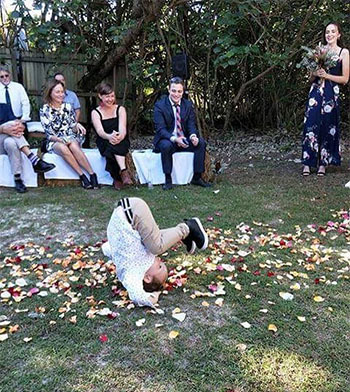 That will be fun! 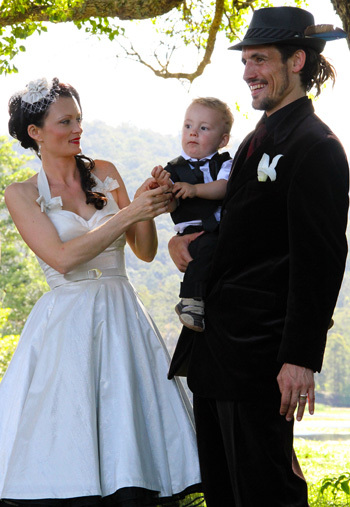 Thank you for being the most awesome wedding celebrant in the world! 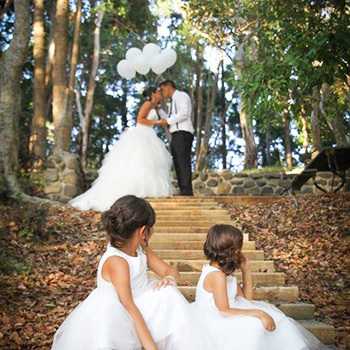 The whole day for us was perfection and I would not have changed a thing!! 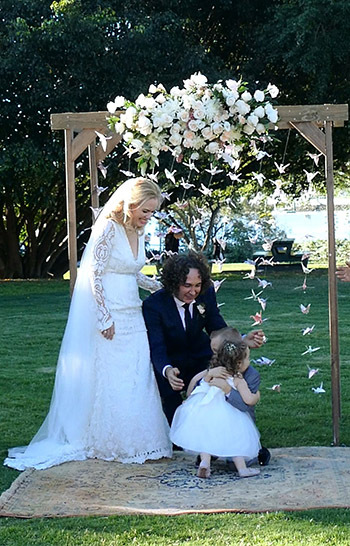 Once again, thank you from the bottom of my heart. 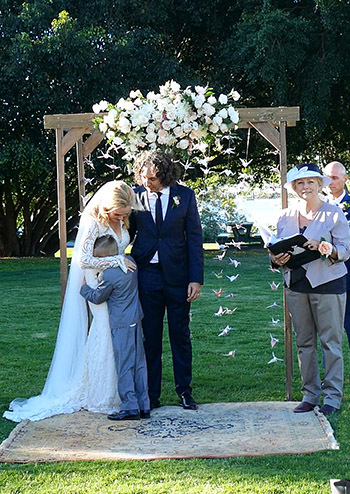 Rebecca & Lee's son Mason sung their wedding processional song so beautifully and their daughter Molly read and original poem she wrote with her mum that brought both laughter and tears to their family & friends. 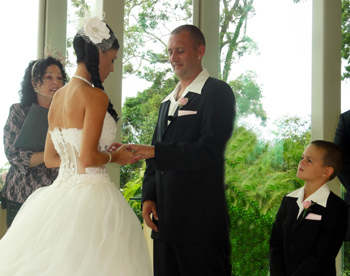 Love Letter from Rebecca & Lee married at the beautiful Sanctuary Cove Chapel Hyatt Regency Sanctuary Cove on the Northern Gold Coast. 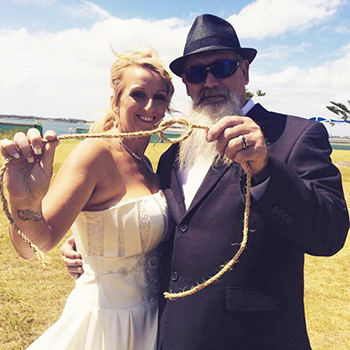 Jessica is wearing a lovely bracelet that Paul & Tarryn gave to her during the Family Unity Ceremony. 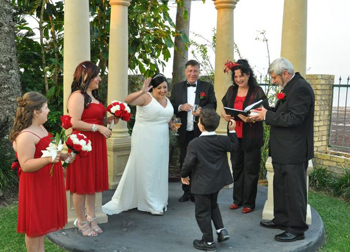 My family and I would like to thank Marilyn for making our Wedding Day so special and intimate. 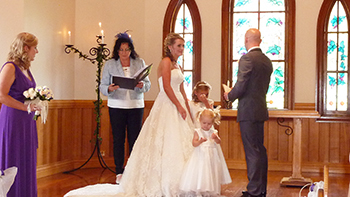 We wanted a small relaxed ceremony which Marilyn helped us to achieve. 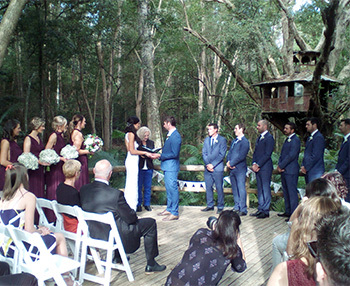 Our wedding ceremony was just perfect! 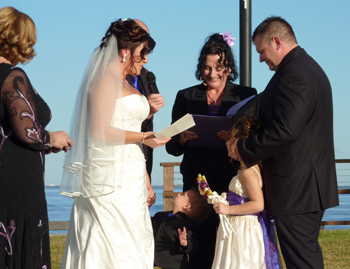 Everyone had a wonderful time and thought it was such a beautiful wedding! 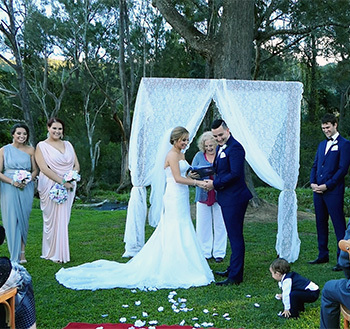 We were very lucky to have Marilyn as our Celebrant, Marilyn was very professional but also very laid back, relaxed, and has fantastic ideas to tailor to the needs of each individual. 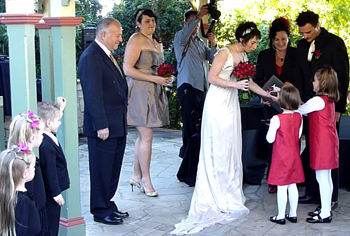 The service provided by Marilyn was of very high quality. 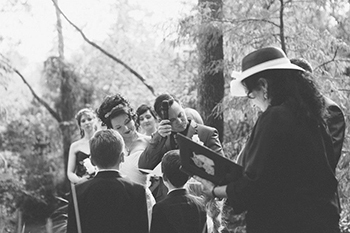 Thank you so much Marilyn our Wedding would not have been as special and unique and beautiful without your help and guidance. 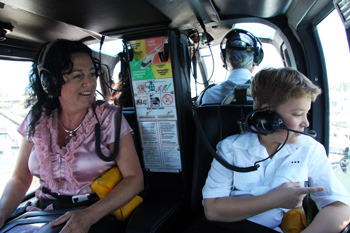 Thanks again Marilyn! 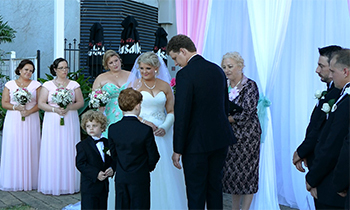 Tammy & Brook.